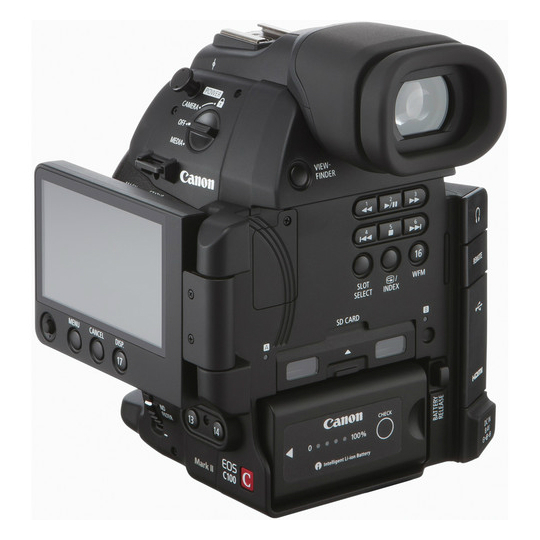 Featuring Canon’s innovative Dual Pixel CMOS auto-focus technology, the EOS C100 Mark II camera has been designed to improve your shooting experience with increased accuracy and control. Advanced image processing provides enhanced color resolution and virtually eliminates unwanted artifacts. Improved ergonomics and a larger, tiltable electronic viewfinder gives the EOS C100 Mark II a more comfortable handling experience. The EOS C100 Mark II’s ability to record a variety of frame rates and codecs, including 1080/60p and MP4 files, offers vast potential to independent production companies, documentary filmmakers, and event videographers. 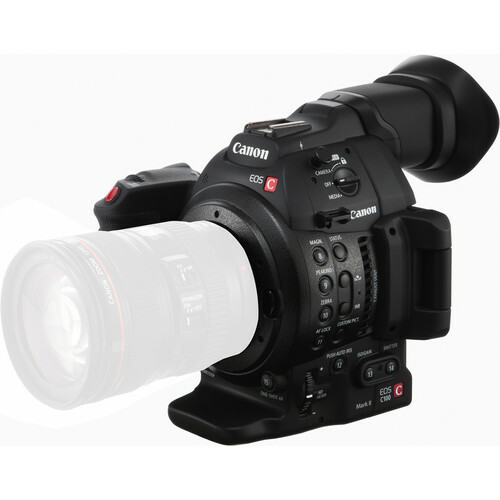 Rent the Canon EOS C100 Mark II and add the Atomos Ninja 2 external recorder for only $30/day or LCD Hood for $5/day. 64GB card @ 1920x1080 28 Mbps: 5 hours, 5 mins. 64GB card @ 1920x1080 24 Mbps: 5 hours, 55 mins.